A special thanks to Lee Shorey from VUHS for her ongoing dedication to the students of our community and for nurturing the goal set forth by this years senior class. A final enthusiastic, spirited wave of goodwill by the senior class, ensured they not only met their fundraising goal of three-thousand dollars - but far exceeded it by presenting the John Graham Shelter with a total of $4,300 in pledges! An amazing accomplishment in a very short space of time. We are grateful to all who supported the walkathon. "At just three weeks old, tiny Hunter holds the distinction of being the youngest resident of the John W. Graham Emergency Shelter in Vergennes. 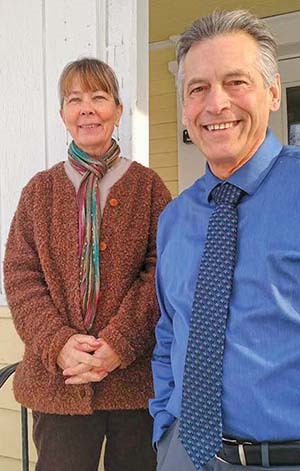 But Sammie plans to change all that, and she’s getting a big lift from John Graham Housing & Services (JGHS), the nonprofit that runs the Vergennes shelter and five multi-unit apartment buildings in the county." The Summer 2016 Newsletter is hot off the press. See what John Graham Housing and Services has been up to! "What do you get when you mix a passion for quilting and the Federal Bureau of Investigation?" A generous donation to the John Graham Shelter! Thanks to the Needle & Gun Quilt Club for their beautiful hand-made quilt and pillowcases. Three inspiring articles about this year's annual event from Channel 3 News, the Middlebury Campus, and the Middlebury News Room.